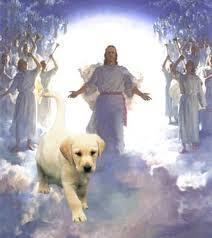 180 – Jesus and his puppy. gotta write a blog. its monday. monday monday. good song. how many other songs have days of the week in their titles? iTunes, enter in “monday.” I have six songs with “monday” in the title. interesting. lets try the rest of the days of the week. “tuesday” reveals one…michelle branch. what happened to her? also, I miss Missy Elliot. where has that girl been? remember when she dressed in a garbage bag? what a nut job. i think we could be friends. getting off track getting off track. write a BLOG already. make a quesaDILLA. I’m sweaty. that was a nice walk. I’ve never seen that one dog before. when i have kids, I’m gonna build them a pirate ship house just like that one backyard. with a telescope and everything. my kids are going to be so so badass. I’m gonna give them cool names. when you give kids cool names, they grow up to be cool. if i named my kid “rock” or “cash money” or “danger” like i want to, you know he’s not going to grow up to be some sissy. oh yeah. no songs about “wednesday.” because that is a horrible day. i wonder what God did on Wednesday when he made the earth in genesis. what a bad day. i wonder if thats when he made the necessary evils, like cockroaches and poop and rotten egg smell. wait i don’t think there were wednesdays back then. thursday….no song titles, just “standing on the edge of summer.” aw that band reminds me of my high school boyfriend. i think we used to make out to this song. i wonder what he’s up to these days. he was sooo cute. i love dating guys in bands. I’m gonna Facebook stalk him. oh yeah oh yeah. “friday.” ah, the ubiquitous “friday I’m in love.” i want to be in love. i think. i don’t know. i miss the smell of cologne. i want to nuzzle under a good-smelling neck. rebecca black – “friday.” such a terribly awesome song. that poor girl. her life is o-ver. she sure got famous though. could i make a youtube? what could i write a song about….it needs to be something that appeals to teens. they are the power. “saturday.” in the park…i think it was the fourth of july. i want to go back to chicago. i miss traci. remember that drag queen show we went to? that was hilarious. id never seen anything so strangely beautiful. and they made us dance. haha. good times. and i want more pictures with that bean of silver thing. “sunday” morning rain is falling. thats a good one. oh! i forgot about that no doubt song. where are they? gwen stefani…i was just talking about her wedding dress today at lunch. am i hungry? or is that gas pain. hmm. hmmmm. i don’t want to risk it. I’m gonna make something with sriacha sauce. why is that so good? that freaking turtle is harassing my fish. she’s a really noisy turtle. where did my roommate get her? i want to touch it. will it bite me? oh i scared you! oh turtle! I’m so sorry! 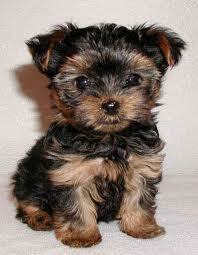 lets look up pictures of puppies. puppies are so cute. if my fish would cuddle with me, like in finding nemo, wouldn’t that be cute? dude the turtle sounds are creeping me out. rihanna – “whats my name.” this is what is wrong with relationships these days. they sound really in love until the chorus. you don’t know each other’s names? thats terrible. terrible. i still want a puppy. whoa what the heck is this picture? bahahahaha. BAHAHAHHAA! oh this website is weeeeeird. Jesus and his puppy. is this real? is this fake? is it someone laughing at Christians? God had a bunny…?? oh man. i love the inter web machine. this is incredible. and weird. i don’t want to study tonight. i just want to sit and google “puppies in costumes” and drink my wine and eat my rice. but i must. okay. time to relearn the butterfly life cycle. and ancient china. and how to teach kids how to read. then maybe wine. maybe a parks and rec episode. maybe baby. ooh! how many songs with “baby” in the title? Well, no Wednesday, no poop. No poop, no fart. No fart, no fart jokes. No fart jokes, no reason for living.